Meet the Penderwicks, four different sisters with one special bond. Theres responsible, practical Rosalind; stubborn, feisty Skye; dreamy, artistic Jane; and shy little sister Batty, who wont go anywhere without her butterfly wings. When the girls and their doting father head off for their summer holiday, they are in for a surprise. Instead of the cozy, tumbledown cottage they expected, they find themselves on a beautiful estate called Arundel. Soon the girls are busy discovering the summertime magic of Arundels sprawling gardens, treasure-filled attic, tame rabbits, and the cook who makes the best gingerbread in Massachusetts. But the most wonderful discovery of all is Jeffrey Tifton, son of Arundels owner, who quickly proves to be the perfect companion for their adventures. The icy-hearted Mrs. Tifton is not as pleased with the Penderwicks as Jeffrey is, though, and warns the new friends to stay out of trouble. Which, of course, they willwont they? One thing's for sure: it will be a summer the Penderwicks will never forget. 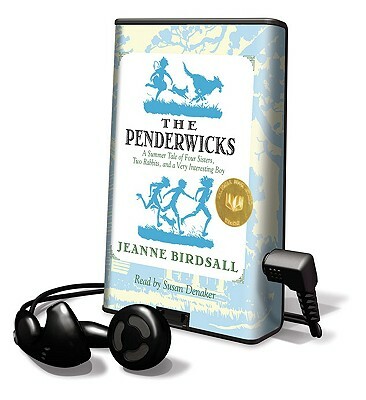 Jeanne Birdsall says: By the time I was ten or eleven, I'd run out of books to read. I promised myself then that Id become a writer someday, to give readers like me a few more books to discover and enjoy. The Penderwicks is my first.